Gulf Craft launched the Majesty 135 super yacht to the water on an autumn morning in 2013, it was the largest within Gulf Craft’s portfolio of super yachts completed to date and the flagship for the Majesty range. Since the launch, the 135 has steadily built the order bank for the UAE outfit, which has led to expansion of the Majesty range. The WSB team has had the chance to take a closer look at the winning formula of the 135, which has led to an international interest in the brand. The Majesty 135 model has already won global acclaim for its timeless profile design as well as ample entertainment and living space, but this particular Majesty 135 is expected to turn heads with its clearly distinguishable exterior color pattern that was selected by her owner – a sea foam color for the hull and international orange for its superstructure lines. This Majesty 135 is also the first to encompass a garage in its aft to store diving and fishing equipment, a neat touch to those adventurous owners. The interior layout and material selection of the Majesty 135 is fully customised for every owner, this approach is an important value for Gulf craft’s company, ensuring the customer is at the center of design and build process. The 135 features an astounding 6 stateroom layout, including the Owner’s Stateroom which, like in its predecessor, is located on the upper deck. 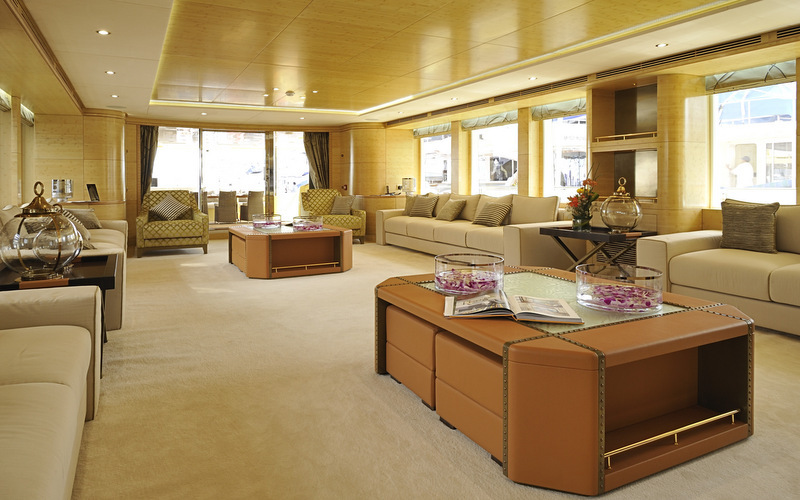 The generous crew quarters feature 6 sizable cabins spread between areas in the front and aft area of the yacht. Lower deck Guest Staterooms are decorated in cherry, maple and oak burl wood along with dark emperador marble. The upper deck houses the Owner’s Stateroom which, in addition to the cherry and maple wood, features olive burl and ebony wood, while the His & Hers en suite bathroom is finished with white onyx and azul bahia granite. The main deck’s bespoke saloon and corner bar are finished with cherry, oak, ebony and madrona burl wood. Gulf Craft’s in-house design team was selected by the owner to create this unique project. The newest Majesty 135 is the third super yacht above 35m to be launched by Gulf Craft in a period of less than 9 months, following the launch of another Majesty 135 in January and a Majesty 125 in February earlier this year. Gulf Craft recently had a very successful showing in Cannes, where it made a splash with the European debut of its entry-level super yacht, the Majesty 105. 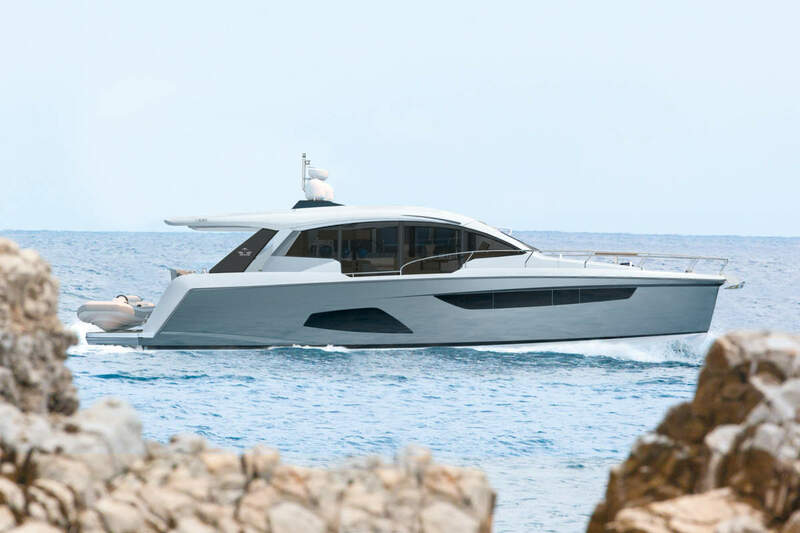 The company will certainly present the 135 and its future Majesty range at the Autumn Boat Shows in 2014, which we are sure will draw the curious onlookers.